Apple was granted 24 new patents on Tuesday, including five new patents relating to the company’s multitouch innovations. 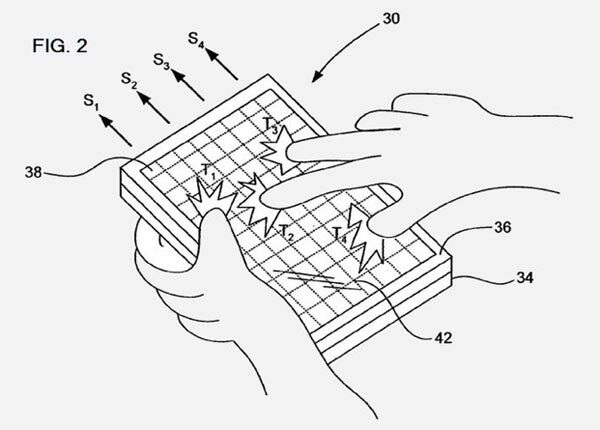 The patents granted include one for multitouch screens, another for a method of auto scanning for touch events, and another two related to calibrating multitouch surfaces. The fifth relates to how Apple creates the substrate for the multitouch-enabled curved Magic Mouse. According to PatentlyApple, which found the patents, the first patent was originally filed for in 2004 and covers a method for using a capacitive surface to make a multitouch display. The patent application was amended to include 21 claims, including: 1) calculating the coordinates of each touch region comprises calculating a centroid of each touch region with the raw data associated with each touch region; 2) the processor calculates the boundaries using a watershed algorithm; and, 3) reducing the noise in raw data. Whether or not the technologies covered by the patent were ever, let alone still are, used in Apple’s iOS devices remains to be seen. Whether or not any of Apple’s competitors are infringing on the patent also remains to be seen. 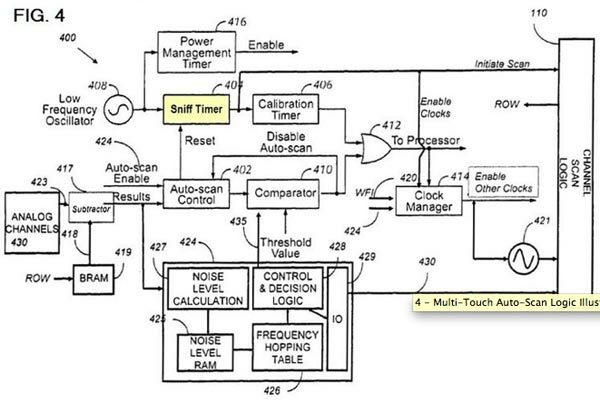 Apple’s patent for autoscanning for multitouch events. The patent covers the ability to turn off components when not needed to save power, as well as the ability to autoscan after set periods of time. This patent included the following flow chart. If you can understand this chart, you don’t need us to explain it. Related: we don’t understand this chart.